DynaMarine takes airboating in a whole new direction, with unmistakeable style and world class performance. 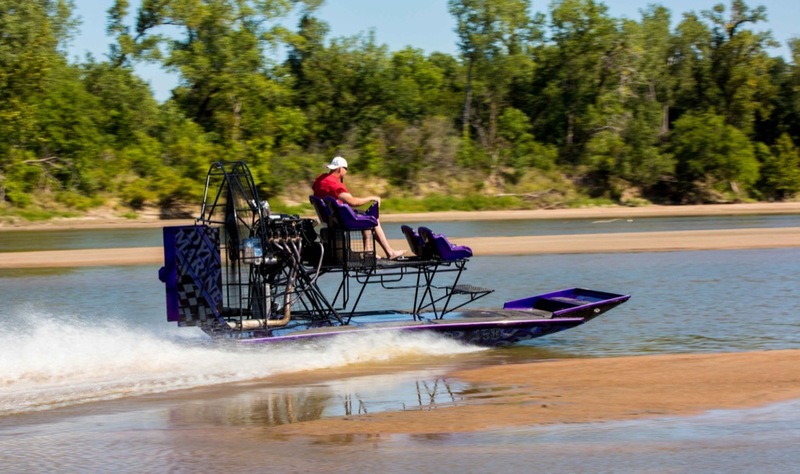 Designed with innovative features and outfitted with the finest components, these are the boats for those who prefer their great outdoors a little more on the wild side. 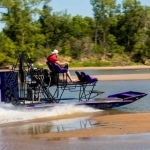 Run all day with the fastest airboats on the water. Hunt and fish like a pro. Slide up on the beach and kick it. Your Dyna puts you on the front row every time. Use this DynaMarine Buyer’s Guide to choose a hull style that fits your riding style. Then select your performance preferences from our wide range of engines, gearboxes and propellers. And finally, make it your own with genuine DynaMarine options and accessories. 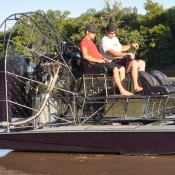 If you’re into airboating, don’t you think it’s time to step up to a Dyna? You can choose the Dyna hull design that’s right for how and where you like to ride. If you like the added deck space of a “deck over” hull design, with more space for lounging and with abundant below-deck enclosed storage. 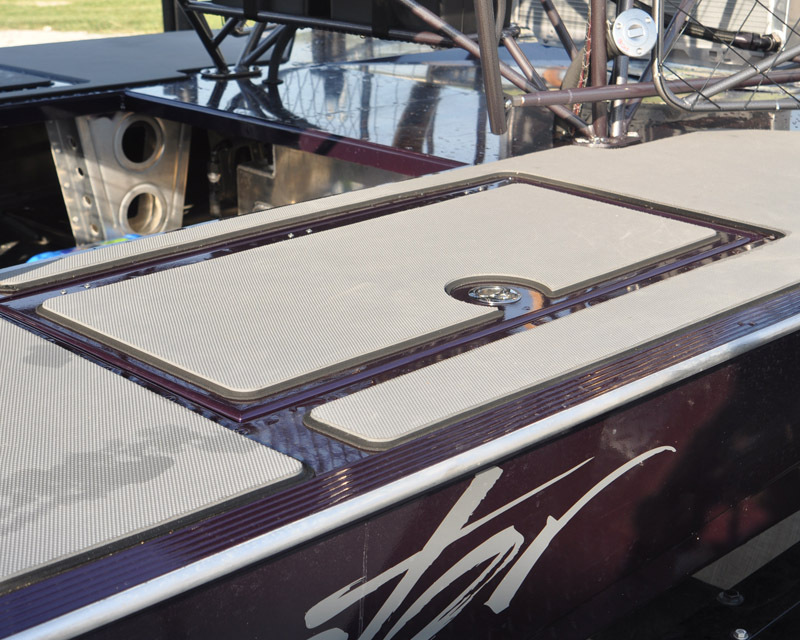 For those who like the wide open utility and style of an open hull design, Dyna offers the Evo and Revo models. 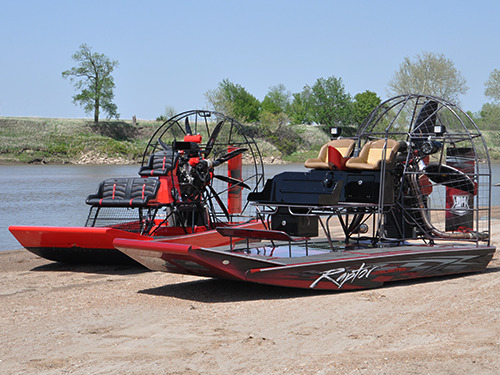 The Raptor offers slightly different handling characteristics compared to our “slider” hulls, but is built with the same precision and craftsmanship. 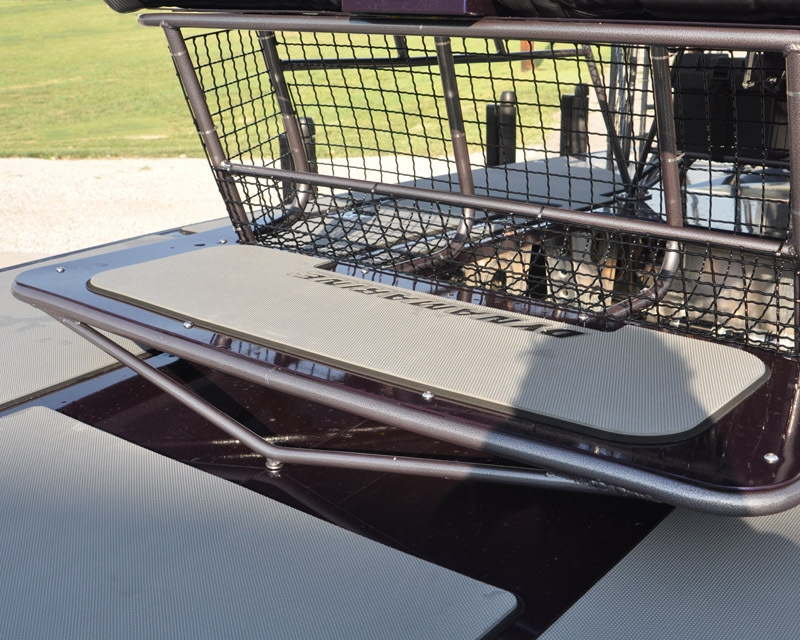 For additional bite in the turns, the Raptor has tapered reverse chines integrated into the outer edge of the hull. This delivers a ride that is smooth and predictable, whether you run flat out and wide open or simply want to enjoy a relaxed cruise. The Evolution “Evo” hull is our approach to the traditional open boat, but with signature DynaMarine style it is anything but ordinary. Its unique internal structure provides tremendous strength and resistance to flex, and its dynamic reverse chine design provides sports car like handling. With a wide, flat bottom, the Evo runs dry ground like a monster and cruises the skinny waters with ease. 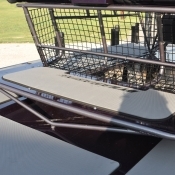 The Evo’s open hull offers plenty of room to stow your gear and provisions as you head out into the wild. And with tons of customization options, you can set one up for just how you like to ride. With the same precision, craftsmanship and performance characteristics as the deck over models, this Dyna is the “Evolution” of the open hull design. *standard specifications subject to change without notice. 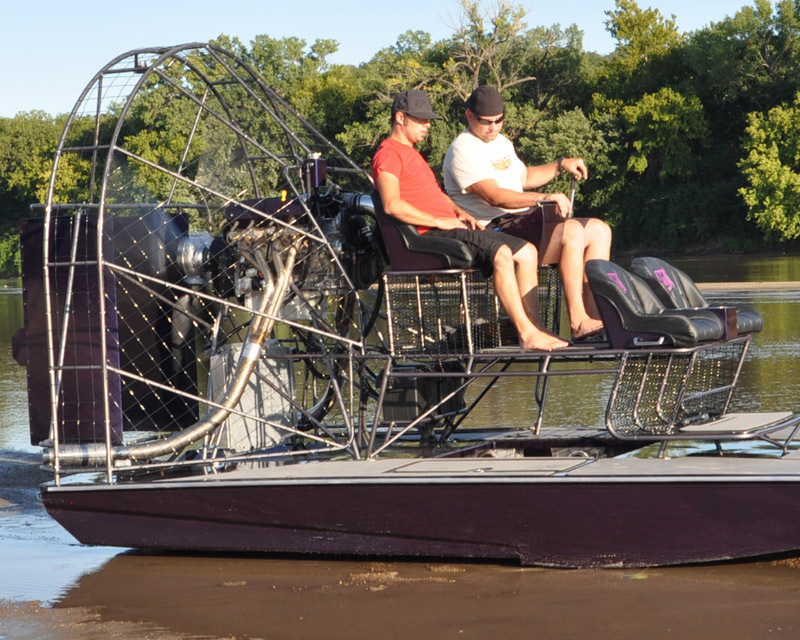 The “Revo” is a true revolution in open hull design. 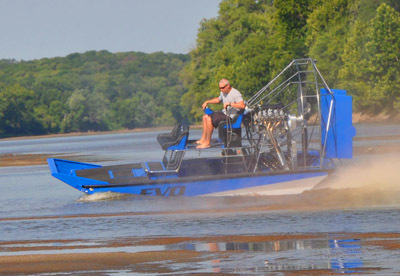 Combine the aggressive ride and slide of the Raptor with the functionality of our Evo open hull design, and you’ll enjoy a riding experience unmatched by any other open hull on the market. With sportscar-like handling and plenty of room for your friends and gear, what’s not to love about the Dyna Revo? 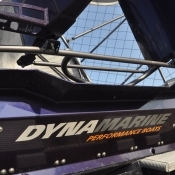 Performance is our middle name, and every DynaMarine is available with a wide range of engine and drivetrain options, plus the features and amenities that make the difference for the discriminating owner. Our Build Packages offer popular configurations of performance and features, and you can customize as much or as little as you want from there. 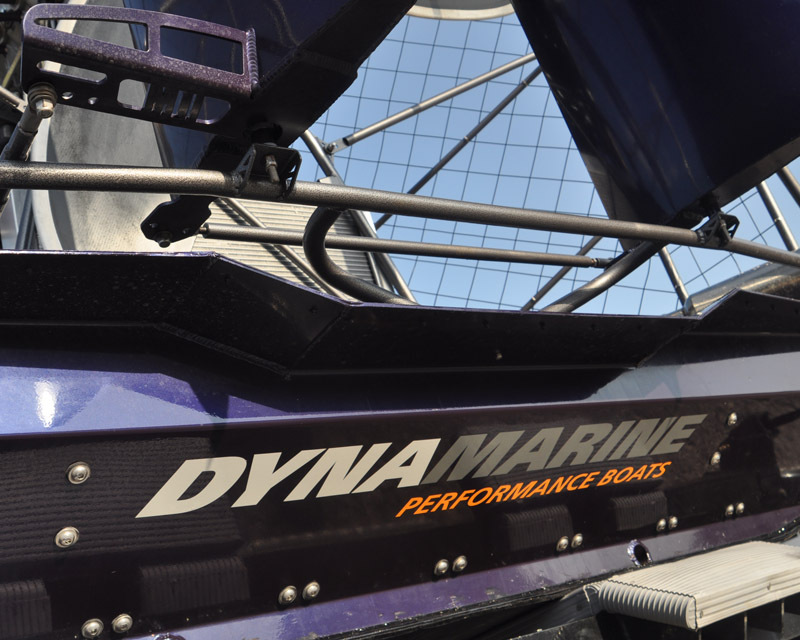 Have a look at our extensive offering of premium quality features and you’ll see why DynaMarine is the airboat to own. 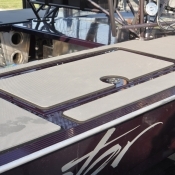 Our mission is to build the best there is, and we make no compromises in our approach to fitting out the ideal boat. From performance to ergonomics, we have set our sights high. We believe the end results speak for themselves. Once you have a look at all that you get with a DynaMarine, we think you’ll agree. 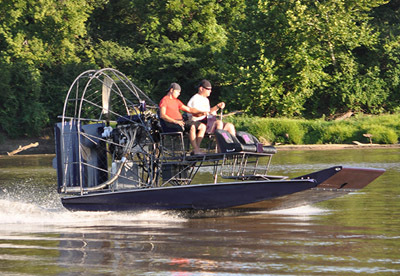 Look through our gallery of performance options and features and see what owning the finest airboat on the water is all about. 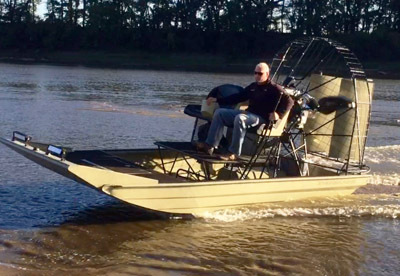 Owning a DynaMarine airboat is a lifestyle choice that gives you the opportunity to go places and do things not possible in a traditional watercraft. And what makes the experience truly enjoyable is having the opportunity to outfit your boat to perfectly match how you plan to use it. To set your boat up your way, choose from a generous offering of premium quality options and accessories that add functionality, convenience and personal value to your Dyna. And if you don’t see everything you’re looking for, just ask. We have a creative and eager design department. *Options and Accessories offering subject to change without notice.